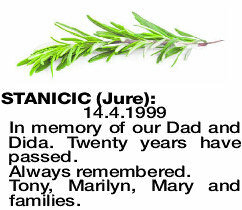 STANICIC JURE 14.4.1999 In memory of our Dad and Dida. Twenty years have passed. Tony, Marilyn, Mary and families.